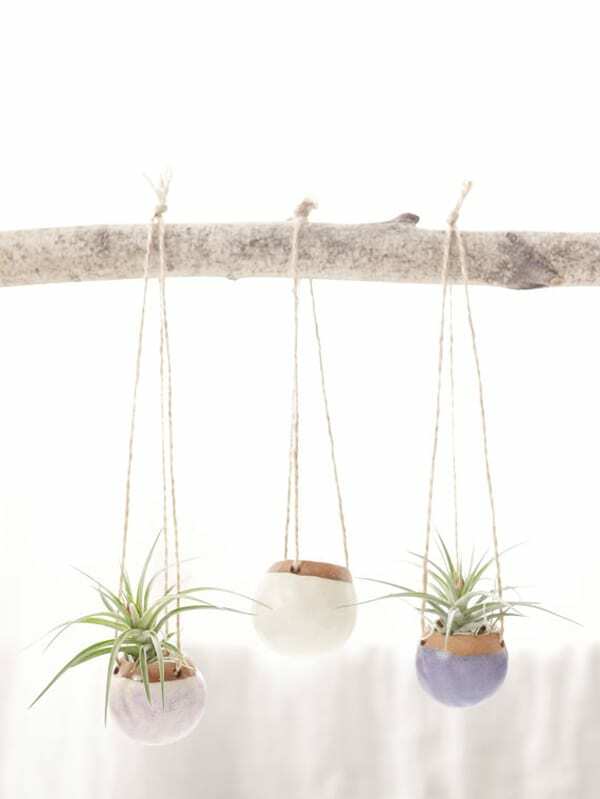 Hanging planters bring a fresh and fun vibe into your home or garden. These planters are so versatile because you can hang them almost anywhere, even inside! Many people choose traditional plants for their hanging planters, but for those without a green thumb, a succulent can be a great alternative. Succulents are easy to take care of because most require minimal watering (compared to other plants) and sunlight. They come in so many fun looking varieties and colors from green to white to colorful. Finding the perfect mix of succulents to choose with your new planter will be a joy. The hanging planters below are made with ceramics, brass, plastic, and wood. 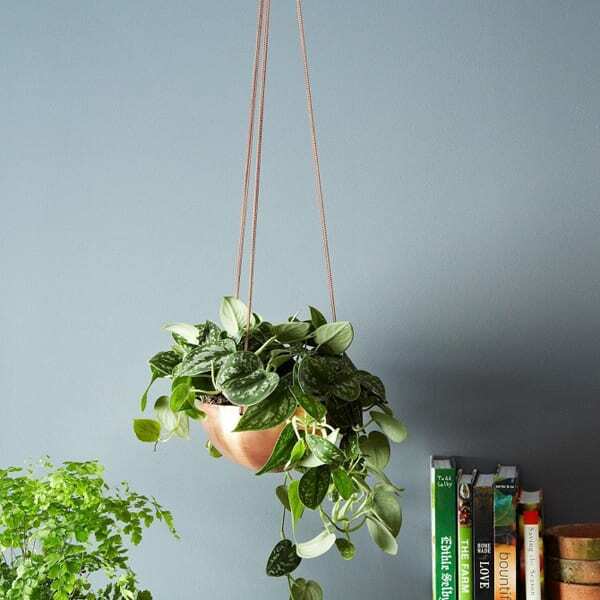 To help decide which hanging planter you can choose for your home, check out this list of 6 unique hanging planters. 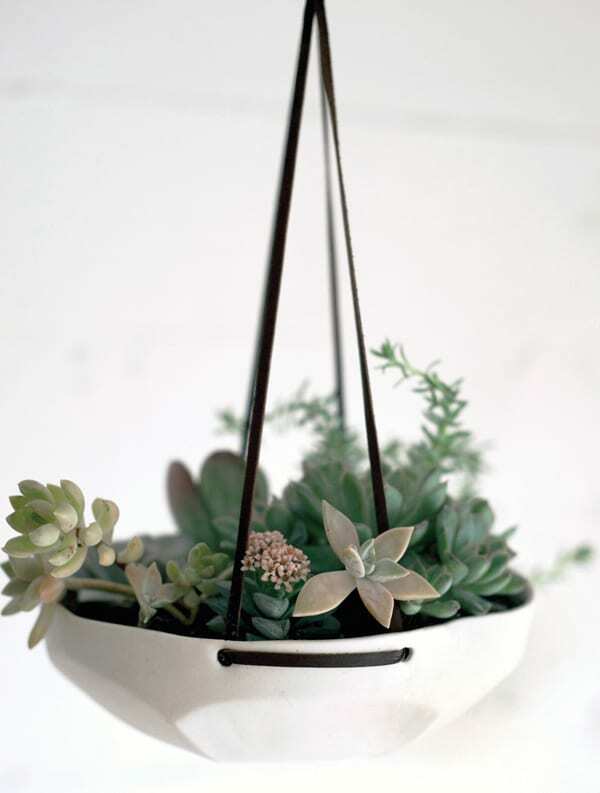 This white ceramic planter features a geometric style bottom and leather cords that come in 7 other colors. It is wide enough to feature several succulents or fruit for another use. These adorable set of three planters made from clay can come custom made and feature jute cording. Mix and match several different colors and hang together for a unique look. These extraordinary copper and brass planters are made using traditional methods and include an antique chain. They are a symbol of good luck and would look great with a plant overflowing out of the bowl. 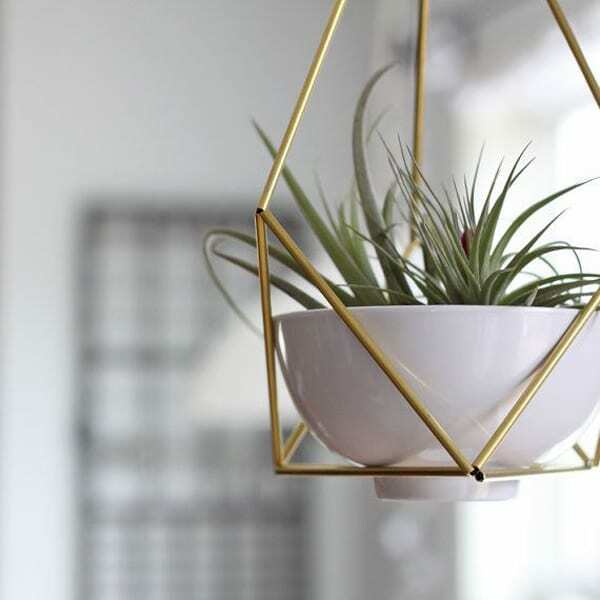 This hanging planter comes with a geometric frame in one of three colors. It also includes the white porcelain cup to hold your plants. This look is very modern and would look wonderful hanging in a kitchen. 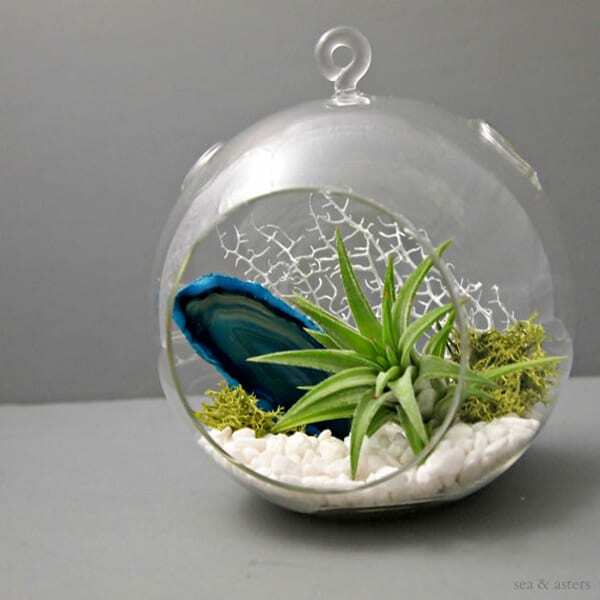 These hanging glass globe terrariums are another beautiful and different way to display plants. Air plants are a perfect match for this terrarium and like succulents also require less maintenance than typical plants. They also do not need soil to grow. Just decorate your bowl and add an air plant! 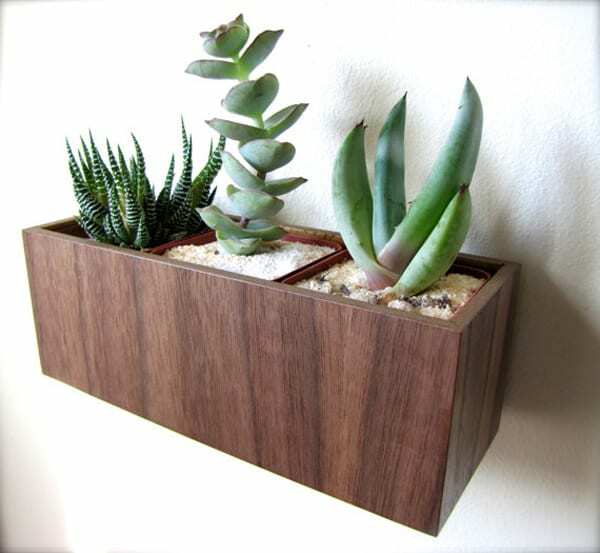 These lovely wooden box planters are made out of walnut and don’t need to be hung by a string so they can offer yet another look for a hanging planter. You can nail them to the wall making them look like they float effortlessly. They are a great design to put almost any type of plant and are lined with plastic so water won’t leak through the wood. Which hanging planter would you choose?